Times have changed since Otto Bayer mixed those two chemicals together in 1939, making the first polyurethane foam. The 1940’s was a period of development for spray foam. The military quickly began to experiment with this amazing new material, even using it in a few places during WWII. 1957 Saw the first foam roof applied. It was on a rail car that had a leaky roof. Surprisingly the foam roof lasted for many years. This got the attention of chemists and developers and they needed a betetr way to apply it. In 1963 Fred Gusmer developed a machine to spray foam. This was the first dedicated foam machine on the market. The industry would never be the same. Throughout the 60’s this was a period of experimenting with foams and coatings. What worked.. What didn’t? The 1970’s brought a new era of interest in spray foam. It also brought a fire or two with raised concerns about the flammability of polyurethane foam. Fire retardants were added to the formulas, and the energy Crisis under the Carter administration automatically drove people towards this new super insulation, even though most people didn’t know a lot about it. The 1980’s was a period of tremendous growth in the commercial/industrial roofing industry, and spray foam was a big part of that. 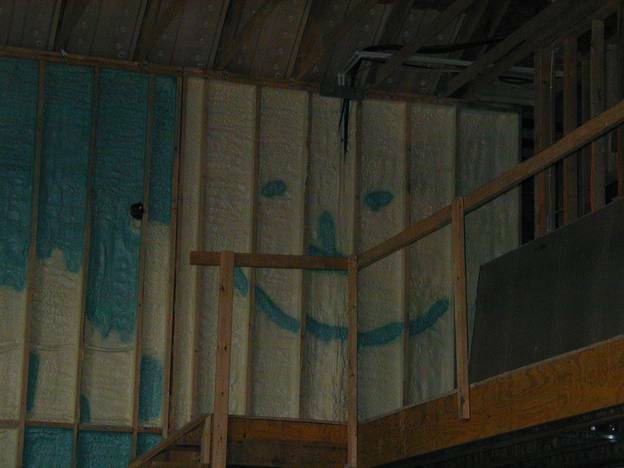 1990’s saw the first intrusion of government into spray foam. The Montreal Protocol (which contended that there was a hole in the ozone layer) sent the EPA into our industry to demand a blowing agent change. The R-11 foams (some of the best foam ever) had to be reformulated with new blowing agents in America. The industry developed 141b as an alternative and 1993 was a year of adaptation as we all switched over to the new formulations. The 2000’s saw the biggest growth in foam insulation yet. Energy costs were on the increase, and to satisfy homeowner demands, super-insulation was called for. Enter spray foam. This was also the period where the “information age” helped to educate people on spray foam insulation. They were also becoming dissatisfied with fiberglass insulation due to its poor thermal performance. In 2004 the EPA came calling again. This regulatory monster intent on “saving” people from imagined dangers told our industry that we could not use the 141b blowing agent anymore. Yes, this was the blowing agent that they approved in 1993. But now they had changed their minds. That forced the foam industry to find another blowing agent. It wasn’t easy. Only one company was able to develop a suitable blowing agent (245fa). This meant that the industry had gone from five suppliers of 141b to one supplier of 245fa. Government had created a monopoly. Price increases dominated the year 2005, until finally the price reached equilibrium and stabilized. In summary, spray foam is the most exciting insulation material available. Each day brings more success stories and wider acceptance. In ten years it will be the dominant insulation in our country.